Another year, another Legislature, another governor — and the state’s economy? Still a mess heading for disaster. The solution? It’s still true: this state has to have an income tax. In many ways, an income tax is an easier solution than it is for any other state, because we also have a substantial Alaska Permanent Fund dividend giving most people the money to pay that tax. Maybe 10 percent of the population will end up paying much net after PFD receipts, and these are the people who complain that they disapprove of a PFD to spend on a trip to Hawaii or related entertainment. What is the problem here? Hostility to the IRS, even though the U.S. spends far more in Alaska on services useful to us than it collects? Maybe a basic misunderstanding of the role of government in the economy is the issue. I have buddies up toward Talkeetna who complain that the government is a damn nuisance and they do just fine without it. Is that true? Even living in a rural environment, they use the roads, right? And what about their kids' school? Do they care about national and local security? What if they get hurt or old? That’s just the beginning. 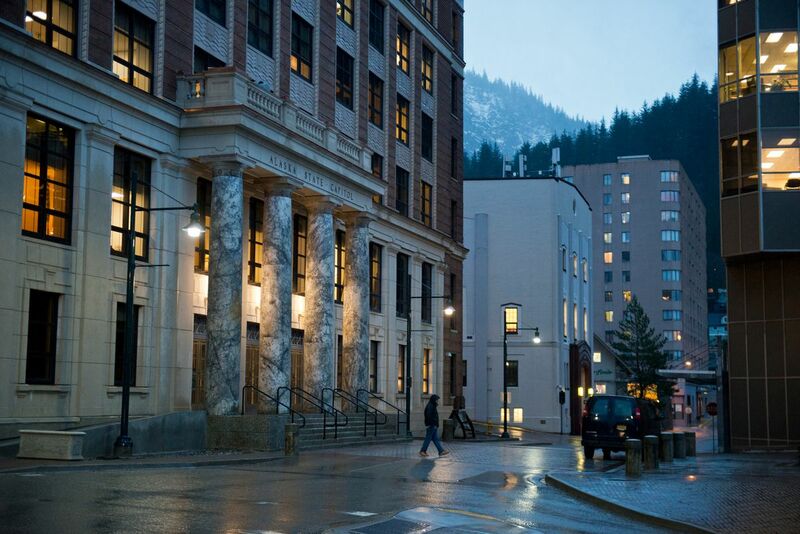 Many income tax haters, maybe a larger sector, understand the importance of an income tax for a stable, growing economy but are not planning on staying or have their family stay in Alaska. They’d prefer to take the money and run. That proportion is shrinking and many families are surprised to see their children settle in as permanent residents, changing the equation. The government is not something apart from the economy; it is an integral component. Let’s look at that can of soup, the base for dinner. Its ingredients were grown by farmers who couldn’t give you a stable price were it not for the federal price support system. The employees who gather and process the contents, mine the ore, process the steel for the cans, who cut the trees to make the paper label, who print it - they have the same needs you have. They need roads, school for kids, courts providing stability in working conditions — the list goes on. The point is, it is not “the government” and “us,” it’s an integrated and collective “we,” when it comes to the economy. And these services must be paid for. Hence taxes, particularly the income tax. Back in the 1950s, when Alaskans wanted to live in a state, they adopted an income tax to show the Congress their willingness to pay upkeep. Everyone knew it wasn’t going to be enough, so the Congress appropriated funds for the first few years to cover the difference, thinking that eventually, the state’s income from state ownership of natural resources would take up the slack until the economy was large enough and robust enough to stand on its own feet. And boy, eventually, it sure did. A basic subsidy from oil and gas taxes and royalties will continue for decades. But it’s not enough if nobody else is paying serious taxes. The problem is that with everybody, every business, operating on this fat subsidy, an unreal economy was allowed to grow, one that didn’t pay its own way for services. So what’s wrong with that? It means the economy can’t grow without the subsidy share of each business shrinking. Everywhere else in America, a new business pays its share of the costs of education, roads, security, etc., for its employees. Not in Alaska. A day of reckoning has been delayed because wiser, early Legislatures created a Permanent Fund, and the fund amassed savings now being spent alongside the oil and gas tax and royalty revenue. One argument for the fund was that it would help the state when a “rainy day” came. But you can’t make every day a pretend rainy day. You shouldn’t use the fund to finance projects that banks are too smart to capitalize. As it is with Norway’s fund, the income from the fund should be used for items apart from the standard costs of an economy. This includes, for example, income equalization for the very poor and the subsistence population of rural Alaska. It could include building the development engine of higher education that could make a great state greater. It could include a family allowance, since the standard economy does not allow for children. All these goals are addressed by the Permanent Fund dividend. State taxes are deductible on the federal income tax. That’s a sweet arrangement when the state tax is matched by a state dividend for a proportionate share. So what hope? With the new administration’s proposal for maximizing the dividend, very few people will feel any pinch from a substantial state income tax. But it’s still true that we’re all supposed to hate taxes and bury consciousness of all the free stuff we are getting. To get it right, legislators and the governor are going to have to do it right, even if a substantial cut of popular opinion doesn’t like it. That’s called statesmanship. John Havelock is an Anchorage attorney and university scholar.